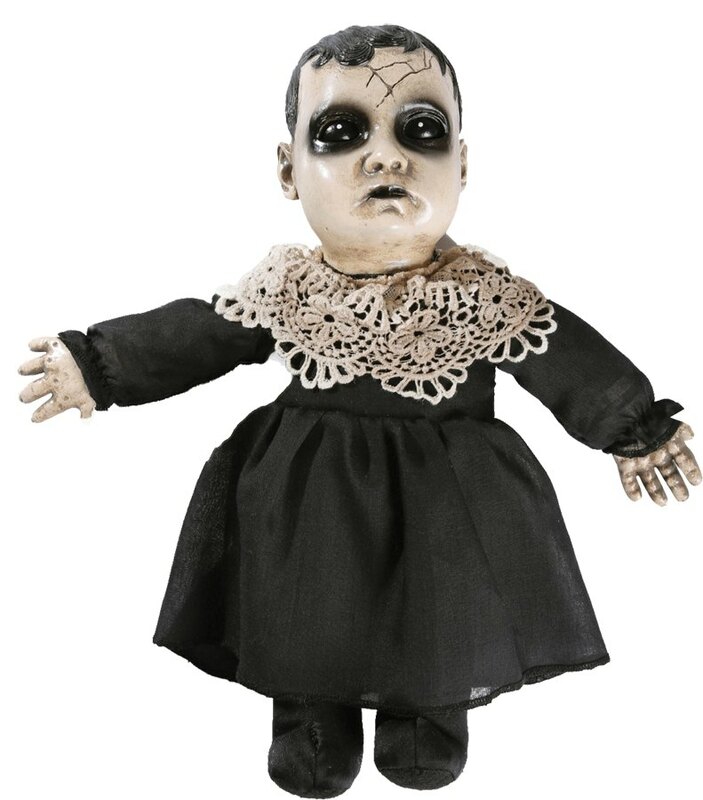 The Little Precious Doll has seen a lot of horror in her days. Unfortunately, she's been the cause of more than her fair share. Give her a new home...if you dare! Features sound-activated or push-activated sounds, rigid PVC head & hands with a stuffed body and feet. Says three 5 second sound files with each activation: ''(Giggle), You disgust me. '', ''You can pretend that I don't exist, but I WILL persuade you otherwise. '', ''The last person who held me died a HORRIBLE death. (Giggle)''. Uses 2 AA batteries, included.